Access at the crossroad with Carol I Boulevard. 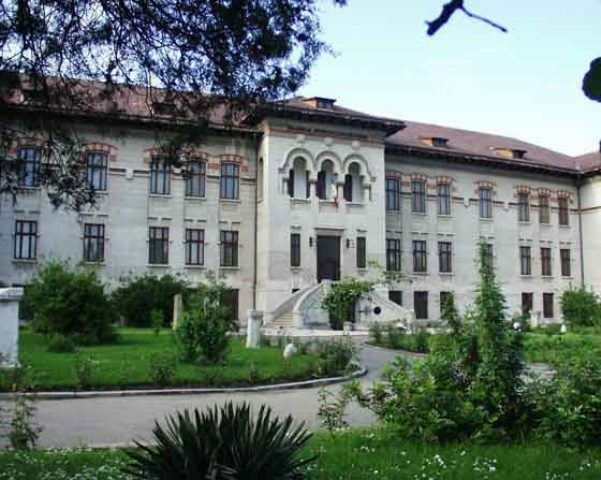 Collection(s) In 1912 Professor Bărcăcilă established the "History Museum of Traian High School", that moved in 1926 to the newly built construction near the Roman camp, that formerly had to shelter a museum named from then onwards "Museum of History and Ethnography in Turnu Severin". 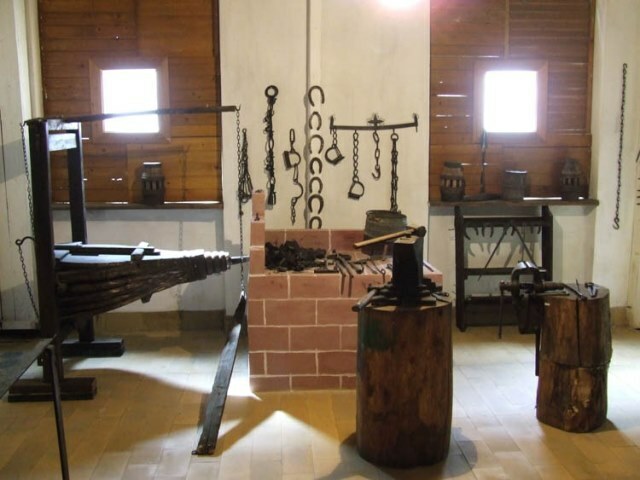 After 1945, the museum grew in importance and developed its research area, as the Museum of the Iron Gates Region. On the 15th of May 1972 the museum opened under the present display having two departments: history and natural sciences with an aquarium presenting Danubian fish species. Later on ethnography and art departments emerged. The exhibits illustrate the fields: natural sciences (fauna and flora, an aquarium for the Danubian fauna and exotic fish), history, documents, archaeology (including prehistoric finds from Schela Cladovei, Roman finds from Drobeta and lapidarium), numismatics, ethnography (costumes, pottery, textiles from Mehedinţi and the Iron Gate areas), Romanian fine arts (many works, even masterpieces, signed by great painters, such as Luchian, Petraşcu, Pallady, Tonitza, Dimitrescu, Şirato, Stoenescu, Iser, Ressu). The history - archaeology department comprises nine halls: Prehistory - the vestiges of the material and spiritual life of the Schela Cladovei culture, the Geto-Dacian Civilization, the Daco-Roman Wars, Roman Ancient Monuments (the bridge at Drobeta from the years 103 - 105), Mediaeval History, the Modern Age, Romanian Feudal Art and the Contemporary Age. The natural sciences exhibition, inaugurated on the 15th of May 1972, presents the physical and geographical conditions of the Iron Gates Gorge, (Hall 1), the flora and fauna of the Iron Gates Gorge (Hall 2), the Danubian ichtyofauna of the Iron Gates storage basin (aquarium), and the water fauna in the Iron Gates region. The exhibition closes with aspects relating to cosmogony, paleontological evidence, testimonies regarding the origin and evolution of man. The ethnography and folk art department holds a precious rich heritage, bearing documentary value. 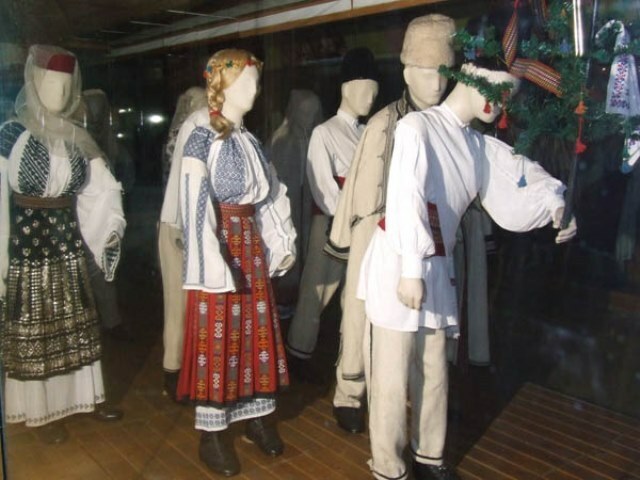 The exhibition presents first of all aspects on the rural civilization in the Iron Gates region. The museum owns goods listed in the National Cultural Heritage Treasure. 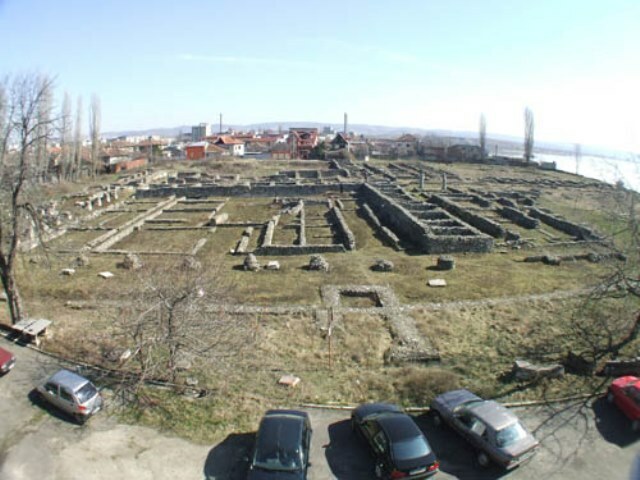 Nearby there is the Roman Camp of Drobeta.